Striker Louis Saha believes it has been difficult for him to claim a place in the Sunderland first-team due to the form of team-mate Steven Fletcher. Saha, 34, is yet to start a Premier League game since arriving at the Stadium of Light in August. "The manager is more intelligent than me to decide," Saha told BBC Newcastle. He may be a Black Cats player in 2012, but Louis Saha arrived in the Premier League on a loan deal from French side Metz to play for Newcastle United in January 1999. The forward returned to France at the end of the campaign after scoring two goals in 12 games before Fulham signed him a season later. "I'm not really in a position to ask for anything; Fletcher is doing really well and it's only a matter of time before the team around him clicks." On the possibility of linking up with Fletcher, Saha added: "He's a very smart player so I think there's no difficulty there." Sunderland signed Saha after his release by Tottenham Hotspur at the end of 2011-12, but his later arrival deprived the former France international of a full pre-season. Since then the former Everton and Manchester United forward has only started one game - in the Capital One Cup - and made six outings off the bench. Fletcher has scored five times in the Premier League in 2012-13, but Sunderland's only other league goal this season was a Demba Ba own goal during the Black Cats' 1-1 draw against Newcastle on Sunday. 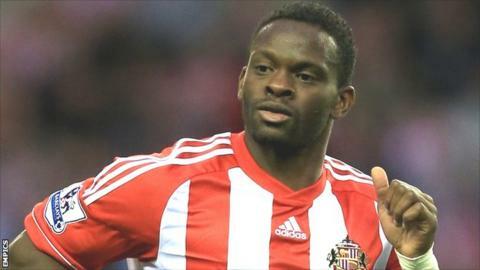 Sections of the Sunderland support have called for Saha to be playing alongside Scotland international Fletcher. "It's nice to hear, but I'm getting there fitness wise as I was behind most of the other players, and I feel ready," said Saha. "I want to get more minutes and I need to help the team make progress so I'm just trying to do my thing when I get the opportunity."